Five Umbrellas Worth Hanging Onto. | A Continuous Lean. Five Umbrellas Worth Hanging Onto. There’s been so much talk about this year’s endless winter that it almost seems cruel to discuss the weather at this point, and yet as we finally begin to thaw out from this infinite freeze, we also enter into Spring’s inevitable rainy season. 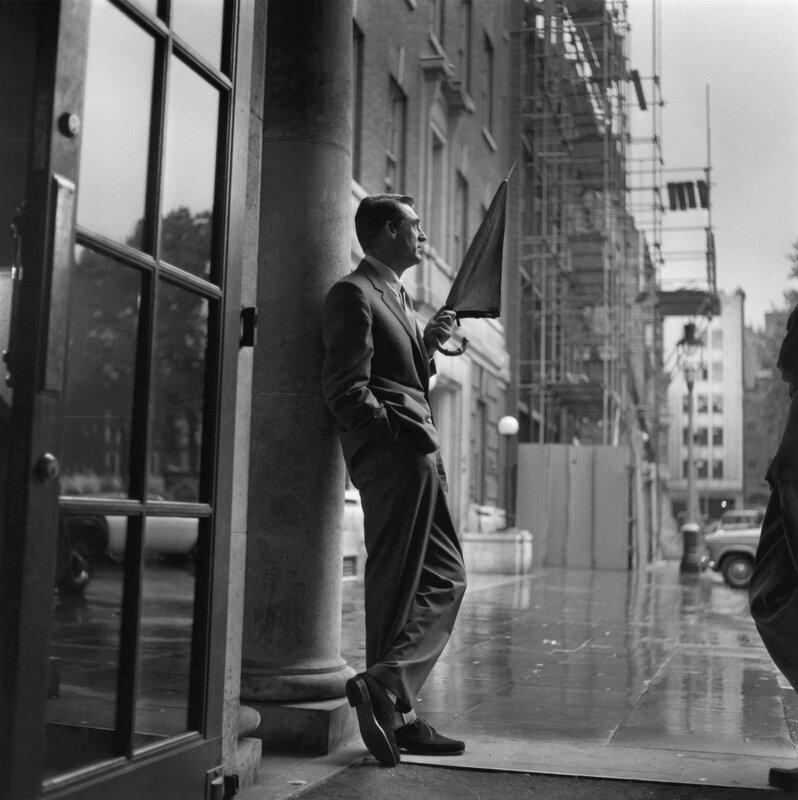 Without the escape brought by a car, life in the city during the rainy months requires preparation and advance planning not accustom to most men. 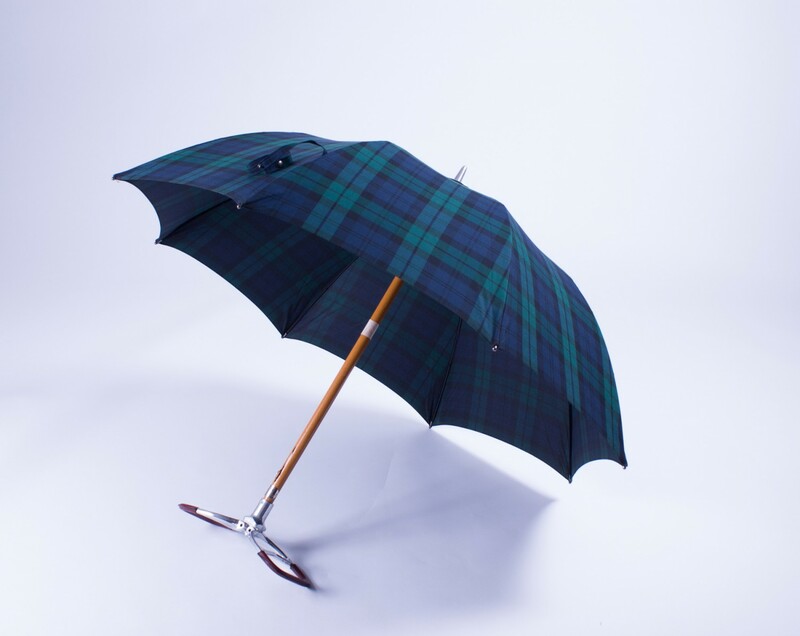 It also offers the opportunity to a stylish and useful tool like the umbrella. We’ll leave it to The Wirecutter to obsess over price and function, and we’ll focus our efforts on style. The Anglo Aristocrat by Barbour – Well, it would be gauche to have the pattern on the outside, but c’mon you still want people to know that you’ve been fox-hunting since you were in diapers. The Lazy-man by Maglia Francesco – For those times when you really need to take a seat. 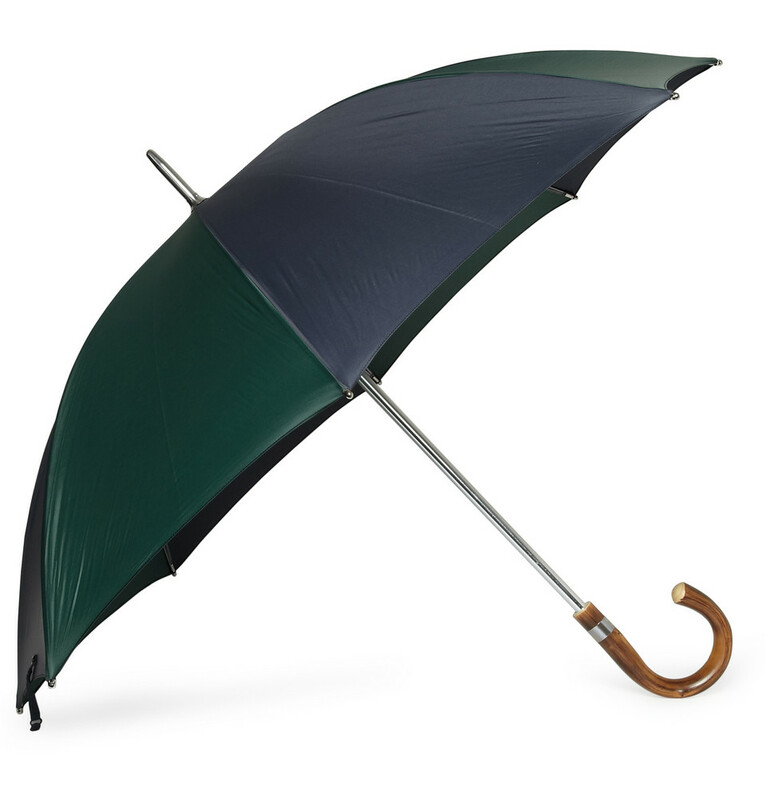 The Classic by Filson – Because, it only makes sense that the Pacific Northwest’s masters of wet-weather gear make one damn fine oil cloth umbrella. The Wooster by London Undercover – To match your camo trench, boots, suit, shirt, tie, and pocket square. 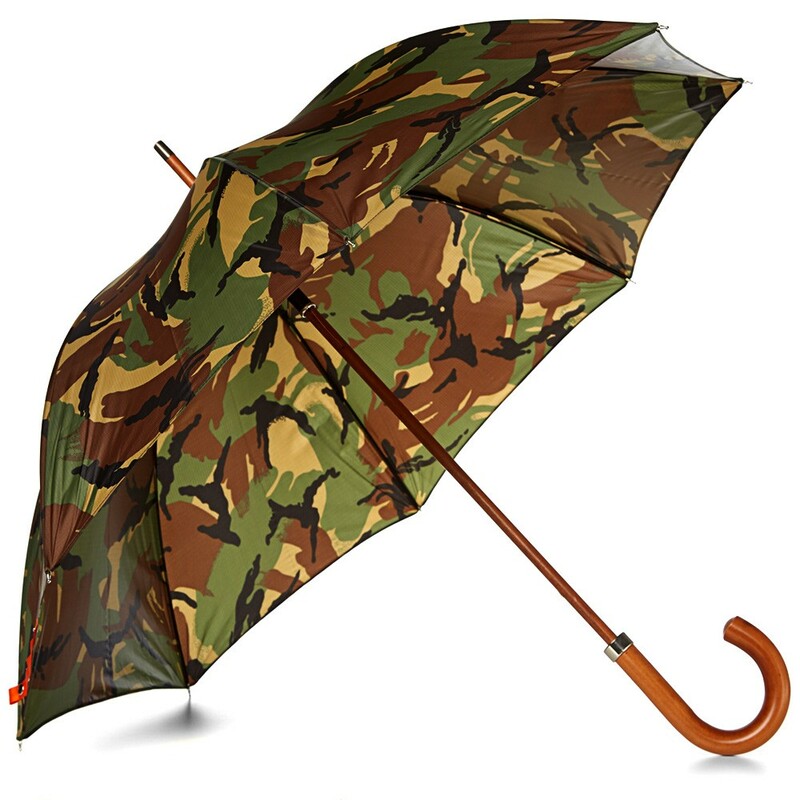 Bonus: The ACL x London Undercover collab umbrella. 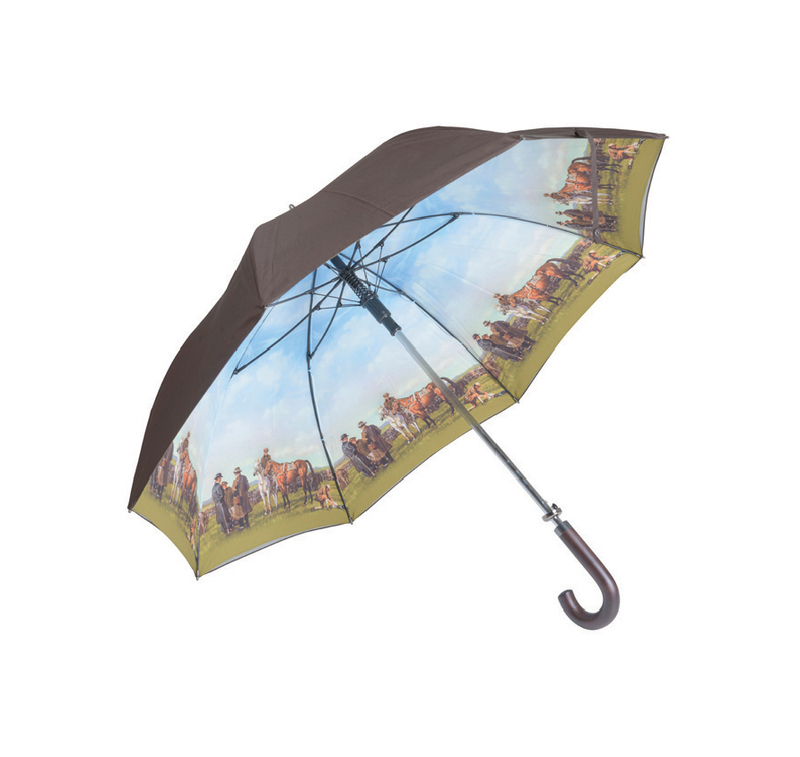 The Royalty by Swaine Adeney Brigg – Well, you might not be Prince Charles, but at least you can buy his umbrella. I know it’s not your forte, but any umbrella suggestions for women? Been trying to find something demure for my lady for a bit. Wouldn’t leave home without my Brigg. The only issue with all of these choices is that none have a double canopy, making life in a windy rainstorm absolute hell, not to mention the fact that they will most likely break under the breeze. But they do look damn fine! I am a little surprised there is no mention of SWIMS?!? Unfortunately I always lose my umbrella. I leave it someplace and it’s gone. The only umbrellas I see for sale now are those golf umbrellas. 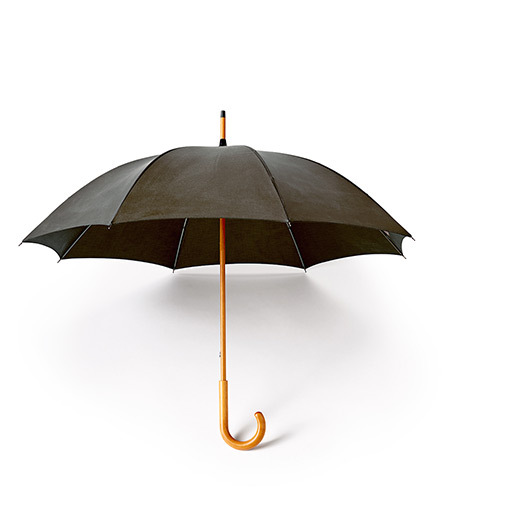 The Filson umbrella, besides being ugly as sin, is something of a head scratcher. Here in the PNW umbrellas are carried only by people from Away, as near as I can tell. What does my umbrella say about me? Friends say it’s fetishistic, it’s hyper-consumption, that I’m precious. Immigration, inequality, minimum wage – these things are completely inconsequential in the face of selecting the umbrella that most powerfully executes and expresses me – inane, vacuous and self-endeared. Gracias. When did your umbrella with LU come on mate? I missed that one. The Filson umbrella is an overpriced piece of crap. Mine started falling apart the first time I used it. Save your money, and buy the real thing.